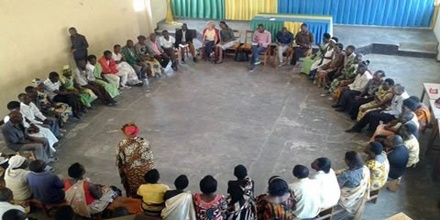 Sociotherapy is the methodical management of the living environment of a group of clients, directed towards reaching the treatment targets of this group – and conceived as a means of achieving the treatment targets of the individual client – within a functional unit, usually in a clinical treatment setting. It is the supportive approach to therapy based on modifying a person’s environment to help with interpersonal adjustment. It means working with the family members and readjusting to community life. Sociotherapy is actually used to help people adjust to being back in a community after a long hospitalisation for mental illness. Clinical sociotherapy usually targets groups of children, youths or elderly, employed in various settings such as treatment facilities or lifecare communities like nursing homes and are directly involved in case management and care planning. 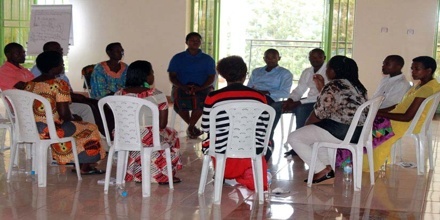 Sociotherapy is provided by a team of workers who, working together in a system of changing eight-hour shifts, guide the clients to give form to their daily life. The daily and continually open method of exchanging information is the principal concern of the sociotherapist. The daily life, the daily interactions with each other, provides the sociotherapist with information about the potential and limitations of the clients and the sociotherapist adjusts his interventions according to this information. Definition of sociotherapy as a social science and profession is also based on regional dicta. For example, the public health insurance system of Germany offered a uniquely German definition in order to subsidize treatment by sociotherapeutic professionals. It said that sociotherapy “designates non-medical, social, and work-related components of the care process”. Sociotherapy operates through a holistic vision of mankind. That is to say that the human being is seen as a somatic, psychic, social and spiritual unity, which is unique because of his own history of growth. The human being is seen as an autonomously functioning creature, and, simultaneously, as a socially dependent creature. 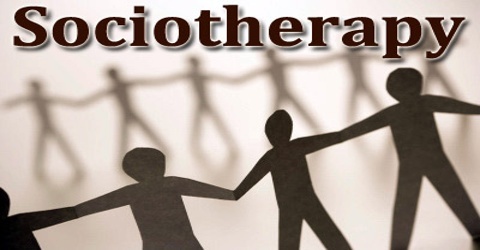 The foundation of any sociotherapeutic relationship includes the practice of dialogical relationship, the phenomenological method, field-theoretical strategies, experimental freedom, countertransference (CT) management. The clinical living environment must fulfill the conditions through which the client is stimulated to teach to and learn from others what is necessary for his own development. The clinical environment contributes towards the learning of skills that are not only of use in the clinical system but for the future as well. The sociotherapeutic treatment plan is always arrived at in consultation with the client and is a component of the overall treatment plan.